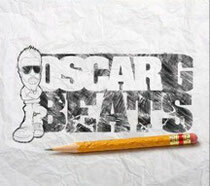 On May 22nd, Miami-based dance music pioneer Oscar G returns with ‘Beats’ – his first artist album in over two years. ‘Beats’ provides a look into the deeper side of house music and the classic vibe that’s often overshadowed amidst dance music’s current commercial boom. 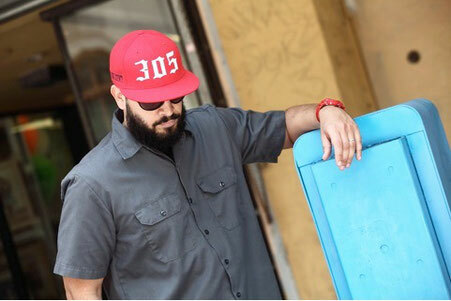 The album is set for release on Nervous Records and it’s the latest project to come from a long-term relationship between Oscar G. and the iconic New York City house music label. The journey into ‘Beats’ gets underway with a classic vocal dropped over the banging house chops of ‘Fallin’. Oscar then brings it back to Miami for a lesson in tribal with ‘Agua Bendita’ before trippin’ through the warped world of ‘Sabroso’ and twisted pop of ‘I Play U Out’. Next, the big room classic vocal track ‘Music Takes Me Higher’ leads into the rubbery, dark and driving ‘Cha Cha Cha’, before ‘Work’ and ‘Hypnotize’ brings out the joy we had when hearing tracks like Josh Wink’s ‘Don’t Laugh’ for the first time. ‘NYC’ is an ode to Oscar G’s second home and built around the great house music vibe the city’s known for and ‘Don’t Give Up’ is for those who want to dance away their relationship problems. While ‘Beats’ takes it back to the underground it’s important to note that Oscar is one of the most gifted producers when it comes to matching vocals with a sizzling dance beat. Oscar, along with Murk partner in crime Ralph Falcon, is responsible for some of dance music’s biggest crossover hits off all time from Funky Green Dogs ‘Fired Up!’ to one of our all time favourites, Murk’s ‘Dark Beat’ and most recently, the 2011 smash ‘Amame’. ‘Beats’ is released May 22nd on Nervous Records.